The following article originally appeared in the May newsletter to clients of FMI Corporation . Reprinted with permission. Many companies today face an age gap as they plan for leadership succession. There are not enough people in the historic replacement age range (40-55) to fill the spots being vacated by the retiring baby boomers, now in their 60s and early 70s. Consequently, there is a need to accelerate the development of younger high potentials, so they can take on senior leader responsibilities. The traditional methods of preparing a person for an executive management role have been experience, exposure and education, all still valid and perhaps even preferred, if they can occur in the targeted time frame. Another increasingly popular method of preparation, which incorporates elements of these three approaches, is experiential learning, where the candidate is involved in real-world simulations and receives in-depth, 360-degree evaluations. 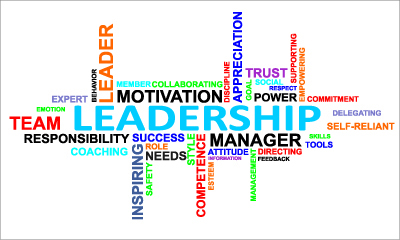 People learn who they are as persons and leaders and how they can increase their effectiveness. Some companies add peer group membership and executive coaching to this mix as well. Another option, often overlooked as a development opportunity, is participation in the company’s primary trade association. This group is in constant need of doers, thinkers and leaders, exactly the qualities that senior leaders must demonstrate. There are always openings for people to start with an event committee (Awards/Golf) and then move to a task force or group working on something more strategic and substantive (Workforce Challenges/Legislative Matters, Construction Documents), where senior executives from other respected industry companies are also involved. These exposures give your candidate a chance to see how senior leaders behave as peers, how they look at an industrywide issue, how they listen respectively and collaborate, and how they use data and ultimately make decisions. Experienced leaders in the mature associations will make newer group members welcome and engaged. Reliable doers in committee member roles will inevitably be asked to lead. This gives the candidate a chance to “play a practice round” before stepping into the senior role at your company. The right candidates will learn, receive feedback and gain confidence, enhancing their ability to add immediate value as they move into your organization’s role. Trade associations also often provide the first opportunity for a senior leader to serve on a board of directors, which provides a chance for advanced learning and potential liability. For the right person, being elected to a board is humbling and sobering. It adds real executive seasoning; it is graduate education. It helps a person learn the distinction between board and staff work, between setting policies and implementing them, and between leading and managing. The challenges of leadership development and succession are pervasive senior executive priorities in most construction companies. Getting involved in the local trade association activities can be an effective, low-cost, supplemental option.